Bill Ackman has inadvertently made the case for index funds. The Pershing Square boss rails against passive portfolio managers in a missive sent out this week. He also blames his own woeful 2015 performance on bad market timing and hedges that didn’t work. That pretty much encapsulates why most investors should stick to the likes of the S&P 500 Index or the Russell 2000. Big concentrated bets are the hallmark of Ackman’s strategy. They mostly have served him and his investors well over the years. Pershing Square vaulted into the hedge-fund elite, as ranked annually by LCH Investments, in 2014 on the back of picks like railway operator Canadian Pacific, where Ackman’s trademark meddling paid off. Since inception at the end of 2012, net of fees, his fund is up 22 percent. Last year was a disaster, though. Ackman lost 21 percent in a flat market. Among the errors he owns up to is failing to take money off the table when shares he owned were soaring and buying more stock in Platform Specialty Products at the wrong time. Meanwhile, the Chinese and Saudi Arabian authorities have “inadvisably” tried to protect their respective pegs to the dollar, in the process preventing Ackman from profiting on his bets against the yuan and riyal. Most investors don’t have the stomach for such bold, singular calls, and nor should they. And yet Ackman devotes a large portion of his letter to knocking exchange-traded funds and other investment vehicles that cater to the masses with lower risk tolerance and no appetite to second-guess governments. Ackman correctly notes that index-fund managers are inadequately equipped to handle voluminous corporate-governance matters. Many rely on Ackman and his activist ilk to help keep companies honest in that regard – though big groups like BlackRock, which manages $4.5 trillion, increasingly support dissident board nominees, so they aren’t completely supine. What’s more, actively managed mutual funds and ETFs, which like Ackman try to pick winners, underperform their passive counterparts on average almost across the board, according to a Morningstar study published last June. It’s worse the higher their fees are. Ackman ends his note with a nod to the importance of humility. He could start by acknowledging that there are good reasons why index funds keep attracting more money. 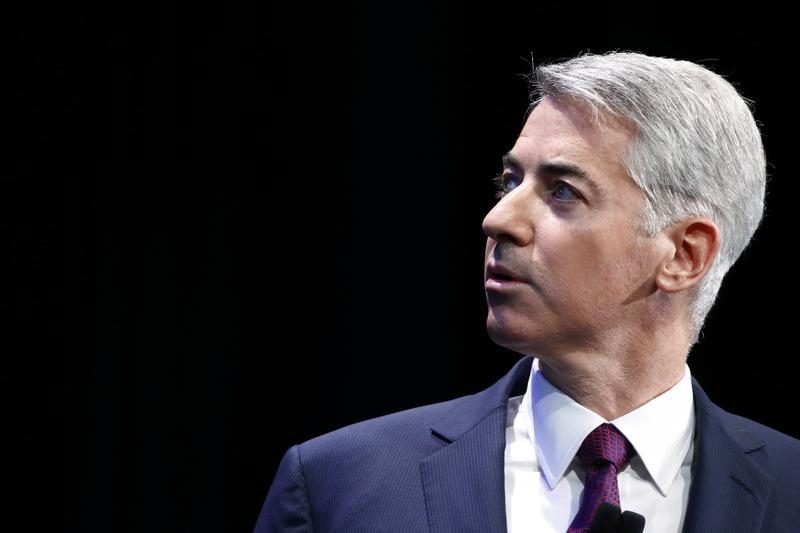 Bill Ackman on Jan. 26 sent a letter to investors in his Pershing Square Capital Management fund. In the 11-page note, he reports a 20.5 percent loss, net of fees, in 2015, compared to a 1.4 percent gain in the S&P 500 Index. It was his worst performance year ever. “We do not believe that our investment performance in 2015 was primarily due to unforced errors, but rather due mostly to the market’s reappraisal of our holdings without a corresponding material diminution in their intrinsic value,” Ackman wrote.